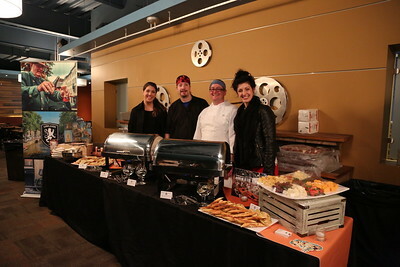 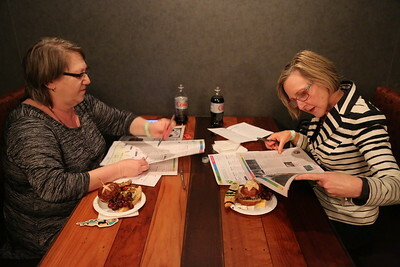 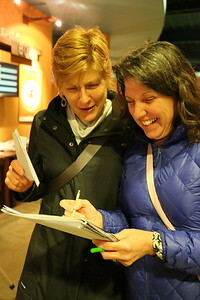 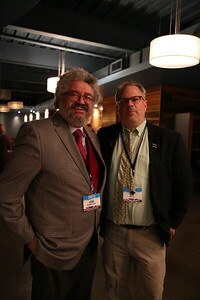 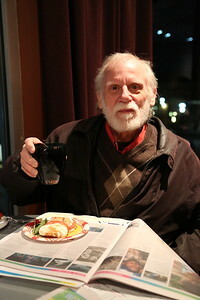 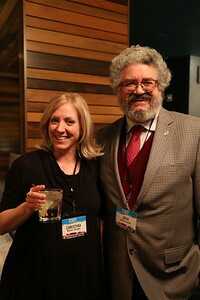 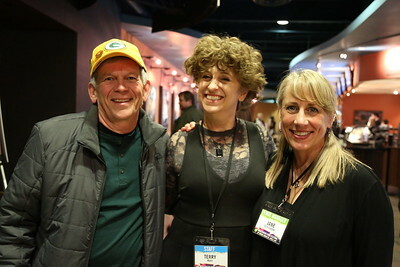 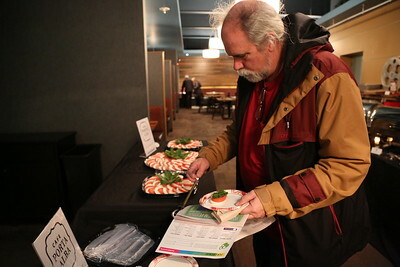 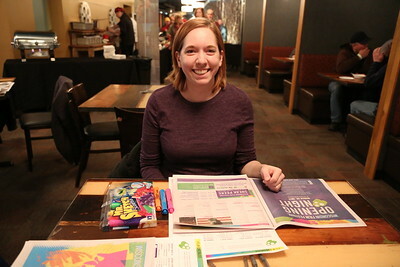 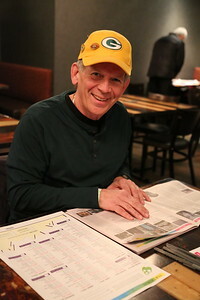 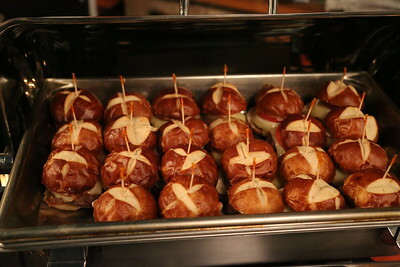 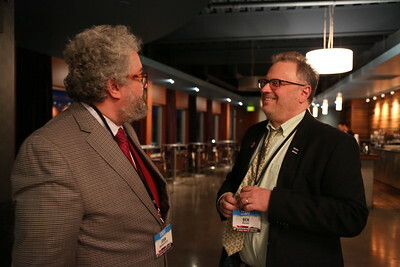 Our third annual First Look at the Fest, a fundraiser benefiting the Real Butter Fund, took place on Wednesday, March 8 at Sundance Cinemas Madison. 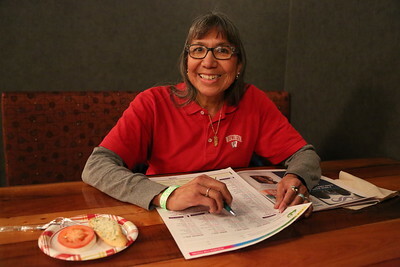 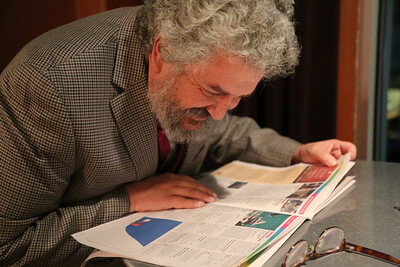 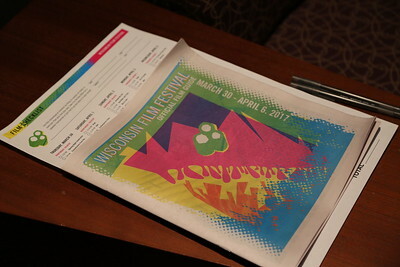 This event gave attendees the opportunity to peruse the 2017 Film Guide the night before it hit stands in the March 9th issue of Isthmus. 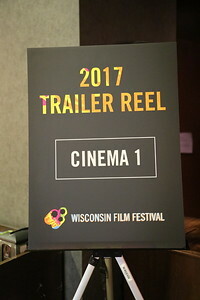 The Wisconsin Film Festival runs from March 30 - April 6, 2017. 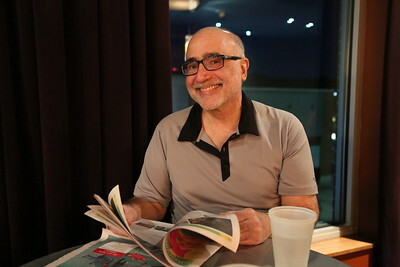 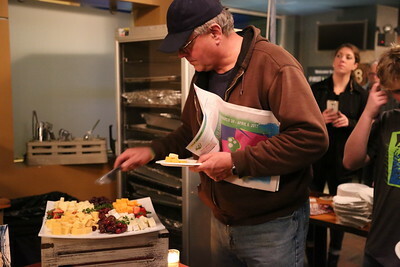 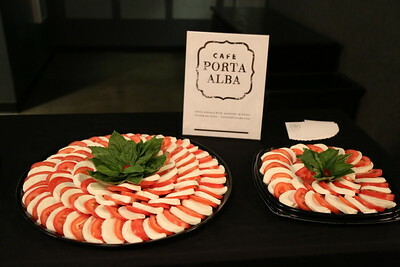 Highlights of the evening included a specially curated Wisconsin Film Festival trailer reel, hors d'oeuvres from Cafe Hollander and other Hilldale-area merchants plus our In the Dark Babcock Hall ice cream, and the chance to purchase tickets on site. 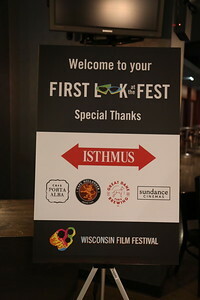 Thank you to our sponsors for the evening: Isthmus, Cafe Porta Alba, Cafe Hollander, The Great Dane Pub & Brewing Company, and Sundance Cinemas. 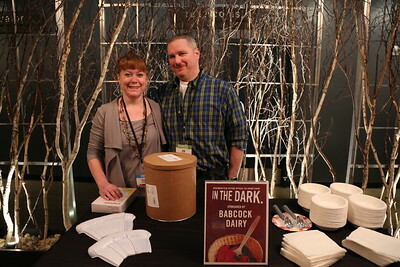 Associate Director of Administration Staci Francis and volunteer Jon ready to scoop some In the Dark ice cream! 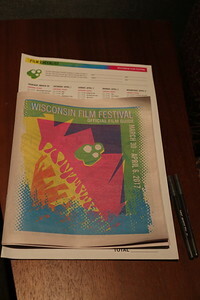 The 2017 Wisconsin Film Festival printed Film Guide. 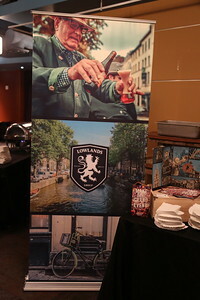 Beautiful display by Cafe Hollander. 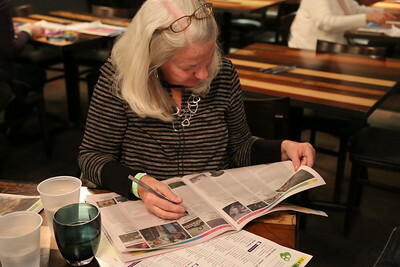 The highlighter system works well!